The records made by any dynamometer can be retrieved by SCADACore and aggregated into a single dashboard along with production data. With SCADACore’s dashboard, dynamometer surveys can be analyzed to reveal a defective pump, tubing leaks, excessive vibration, or other problems. SCADACore’s dynamometer monitoring can help companies detect anomalies with their system without having to pay enormous monthly fees. Our pump card monitoring packages are offered for as low as $60 / month. Reduce the cost of monitoring and controlling wells with SCADACore. Our all-in-one monitoring system provides a comprehensive end-to-end solution to analyze, control, and optimize your well operations. 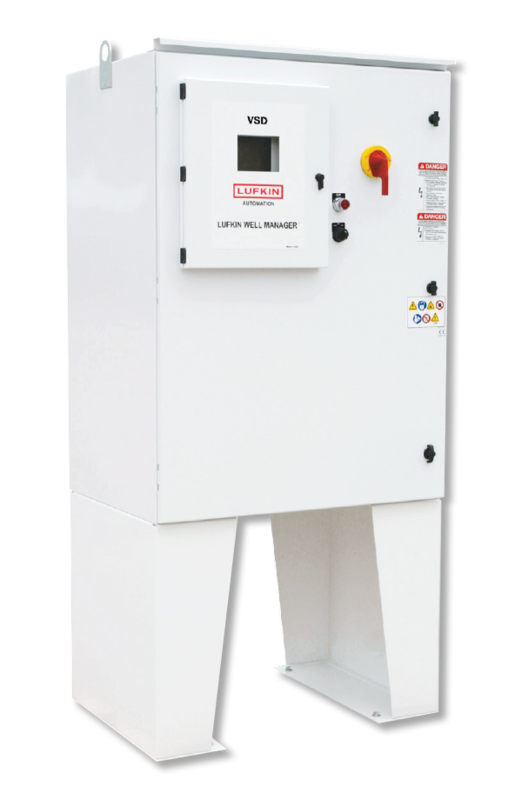 SCADACore offers remote interface for Pump Controllers such as the Lufkin Well Manager. The system consolidates from pump controller data and production data into a comprehensive web interface, allowing clients to view, analyze, and control sites remotely. View Surface Pump Cards and Downhole Pump Cards anytime, anywhere. There is no limit on the number of days of historical data that can be retrieved from SCADACore, so our clients can view and analyze all current and historical data and trends. SCADACore offers pump controller / Lufkin Well Manager monitoring for as low as $60/month. Contact us and find out how we can help!